We’re serious about providing a superior golfing experience. Click on the photo to meet the people who make it happen. Red (yes that is his real name) comes to River Valley Ranch not only a passionate golfer but an accomplished businessman. With more than 30 years’ experience in both areas, Red brings a depth of experience sorely needed to reinvigorate the course. “This will be the first time this course is run by a local management team and from a business management perspective”. Red will oversee not only golf course operations but also for the first time at River Valley Ranch, integrate the food and beverage service with the opening of the Homestead Bar and Grill. With an extended lease, Red sees a robust future for the course with a combination of improved customer service and responsible management. Red has lived in the Roaring Fork Valley with his family for over 20 years. 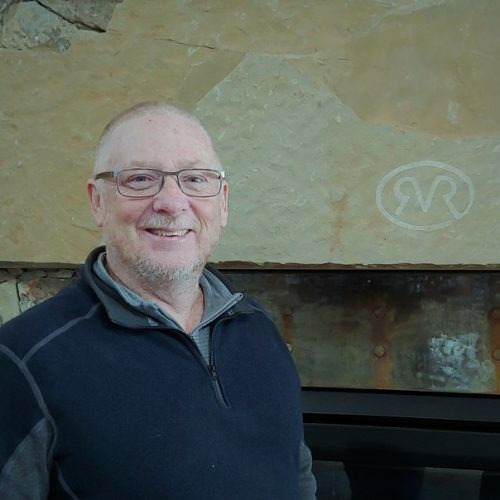 Steve joins River Valley Ranch with almost 20 years’ experience as a golf course professional. Growing up a block from his home town’s nine hole course and raised in an avid golfing family, Steve’s love of the game took hold early. His father coached his and his sisters’ high school team and he began to work at the local course at the age of 14. Playing golf as a freshman in college, Steve earned his PAT credentials as a junior and went on to earn his Class A PGA Professional designation in 2005. After graduating from college, Steve moved to Colorado where he began as assistant pro at Aspen Glen. He later moved to Head Golf Professional in 2009. 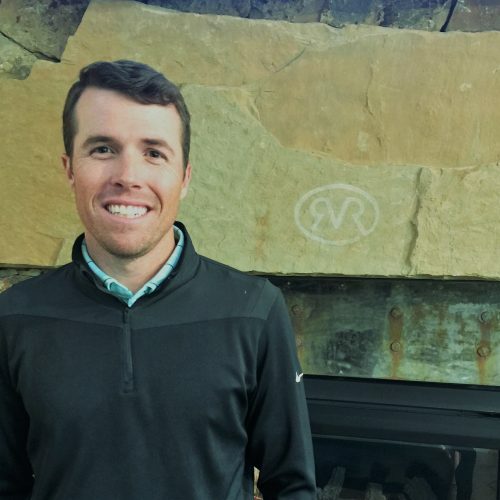 Steve is excited to lead the golf program at River Valley Ranch for a number of reasons. “I am excited to offer access to this game to a wider audience and a public course allows me to do that”. Passionate about youth golf, Steve started the non-profit, Youth Golf Colorado in 2016, to encourage youth participation and free access to the game. His goal is to make the course at River Valley Ranch to launch pad for youth golf in the Roaring Fork Valley. He and his family enjoy the Colorado lifestyle and cruising the back country in their 1977 Landcruiser. The mustache is real. 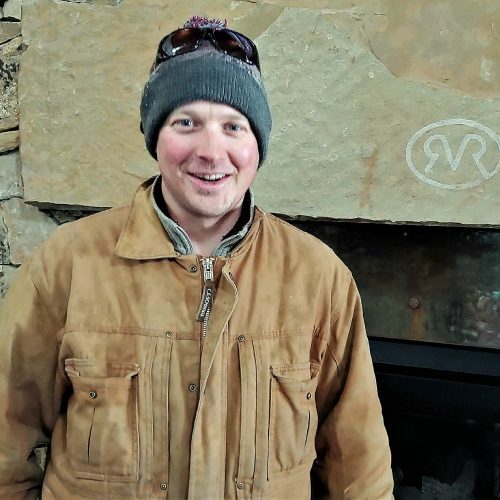 Graduating from Penn State with a degree in Turf Grass Science, Chad has been the superintendent for the course at River Valley Ranch for almost seven years. You will often see his dog Hunter at his side as the unofficial course mascot. Chad has worked at such prestigious courses as Winged Foot, Cordillera, and Galloway National. Growing up on the 17th hole of Fairview Golf Course in Pennsylvania, his passion for golf started early. “River Valley Ranch feels like home to me…the setting…the facility, it feels amazing to come to work here”. When not perfecting the conditions on course, Chad enjoys hunting and fishing. 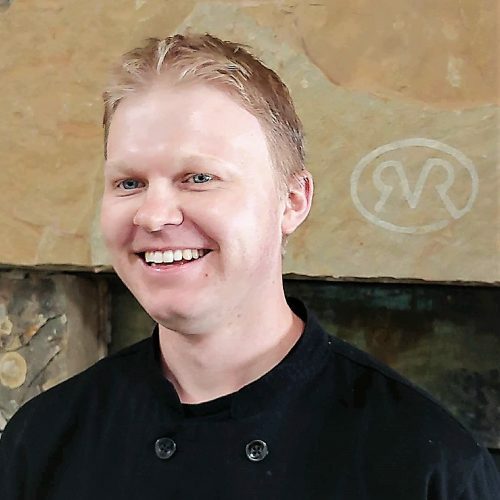 Introducing Clay Broadhead, Executive Chef at the Homestead Bar and Grill at River Valley Ranch. A graduate of the Arizona Culinary Institute, Clay has a passion for food, and it shows. He has spent most of his career in the golf course restaurant industry at such properties as Scottsdale National, The Country Club at DC Ranch, Jean George Grill and Aspen Glen. Clay is inspired by simple, fresh and locally sourced food. He is excited to establish the Homestead Bar and Grill as a welcoming community gathering place. To date his menu has gathered rave reviews for being creative, delicious and affordable. When you meet Clay you will instantly feel his positive energy and love for what he does. When he is not whipping up amazing food, Clay and his growing family love living and playing in the mountains of Colorado. Jacques joins the course at River Valley Ranch with more than 14 years’ experience as a golf professional. A CSU graduate, he brings a passion for golf instruction and expertise in full service club repair to our course services. 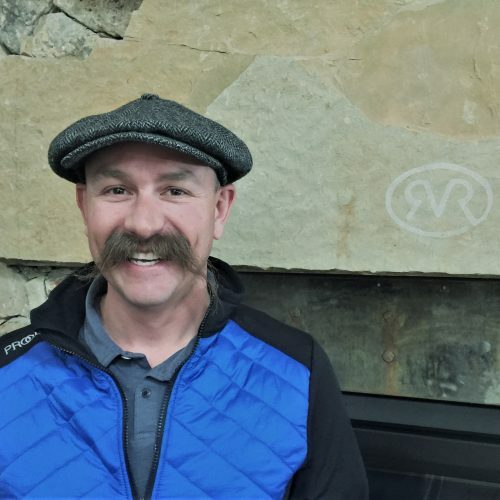 “I love coming to the golf course” he shares, recounting a history that started early, first by working in golf course services in Colorado golf facilities such as Indian Peaks, City Parks and more recently Aspen Glen as First Assistant Golf Professional. He received his full PGA membership in 2007 and remains an avid competitor in PGA events, ranking in the state’s top 50 club professionals. He has been a member of the West Chapter PGA board for the last five years and is lead singer/guitarist for the local funk band The Confluents. (Look for them on the Homestead patio this summer!) In the winter, Jacques continues to follow his teaching and coaching passion as a ski instructor based at Buttermilk Mountain. 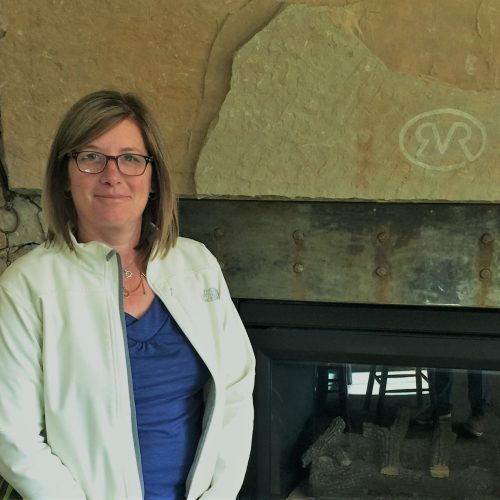 Julie is the behind the scenes operator overseeing the mission, service delivery and branding of both the golf course and the Homestead Bar & Grill at River Valley Ranch. An accomplished businesswoman, owning PRC Physical Therapy in Carbondale for more than 20 years, Julie brings a diverse skill set to her new role. ``The challenges of this new venture allows me to explore my creative side``. Supporting her husband, general manager Red Cunningham, in realizing his vision for the property allows her to appreciate a new set of challenges and learning opportunities (learning is her passion). A golfer herself, Julie is excited to get out on the course this year and introduce diverse programming to invite greater community involvement. ``Our goal is to create a place of welcome, that encourages folks to play, stay and enjoy this beautiful facility!`` You'll find her anywhere from busing tables or weeding and planting the gardens to designing marketing materials and obsessively hitting balls on the range. She is the official Master of Chasing Squirrels!